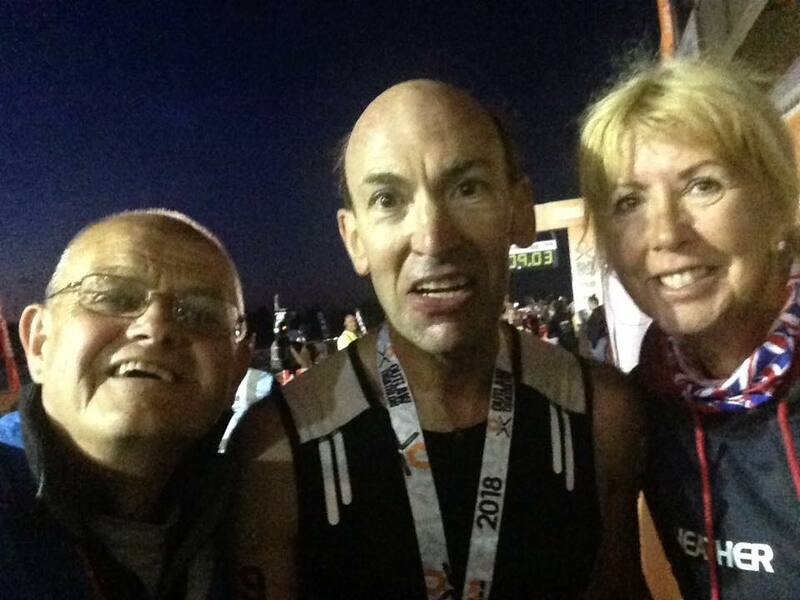 After Months of preparation and hard training, Club Stalwart and cross country captain Martin Yeomans completed the Outlaw Full Triathlon. 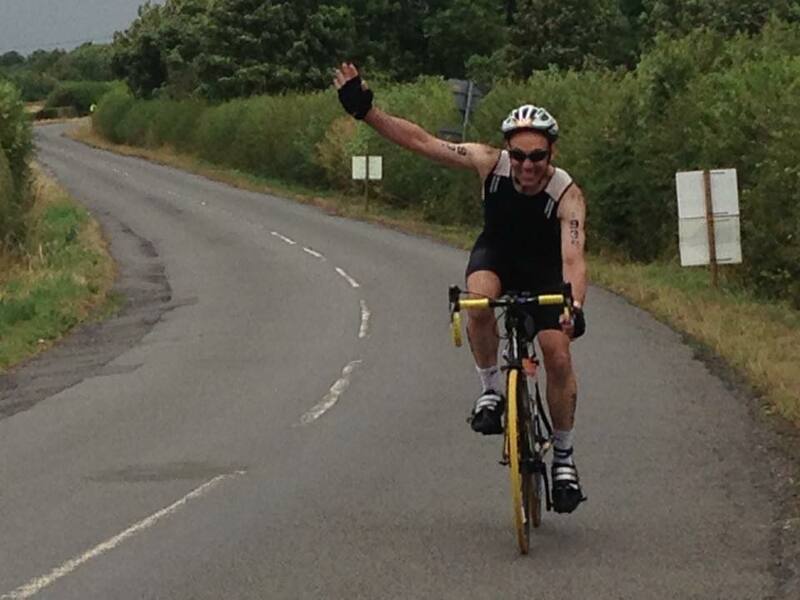 Based at Holme Pierrepoint National Water sports centre in Nottingham, Martin did the full distance course of 2.4 mile swim, 112 mile bike ride and marathon distance (26.2 mile) run to win the coveted Outlaw title in an impressive overall finish time of 16:08:11. Weather conditions were wet and windy on the day, making the water rough and choppy for the swim section, and the water course was altered to ensure competitors safety. After an early start, Martin had a good swim time of 1:30:49. Following a 9:50 transition period to get ready for the bike, Martin was off in very challenging conditions, on a fairly flat, fast course but many parts open and exposed to the wind. He looked strong throughout and finished this section in 8:19:59. After 7:45 minutes in transition 2, it was on the the run, a multi-lap course around the lake and on to the river Trent path. Maintaining a steady pace and looking strong to the finish, Martin made it on to the red carpet and through the finish line, completing the run in 5:59:48, supported by his friends at Ivanhoe runners.